Boathouse Pub in Grant, Florida. 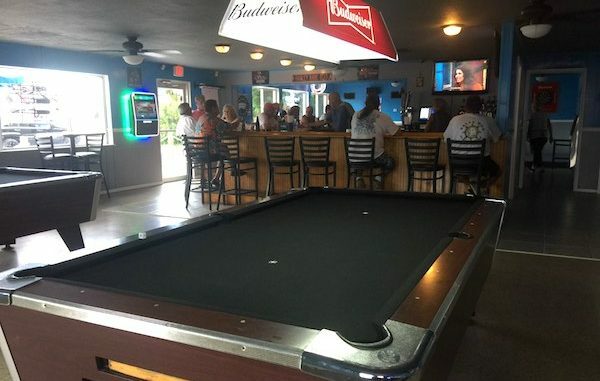 GRANT – The Boathouse Pub in Grant is having their first Bike Night on Friday, Nov. 16th, from 6 p.m. to 10 p.m.
Boathouse Pub will offer free pool, a pitcher, and an order of wings for $15. This pub is a fun place for locals to hang out. There will be live music and vendors. All bikes are welcome at this great event. The food is great. We recommend either the Boater Burger or the Pirate Pastrami Melt. Their potato chips are also delicious. To get there from Sebastian, take U.S. Highway 1 north to Grant. You’ll see the Boathouse Pub on your left. The address is 5170 US-1. It’s not far from The Old Fish House Bar and Grill.